It can cause “scale” to form on the inside of pipes,water heaters, kettles, heating elements etc. The calcium and magnesium precipitate out of the water and stick to things. The scale doesn’t conduct heat well and it also reduces the flow through pipes. Eventually, pipes can become completely clogged. It reacts with soap to form a sticky scum, and also reduces the soap’s ability to lather. Since most of us like to wash with soap, hard water makes a bath or shower less productive. The most common solution to hard water is the use of a water softener. The calcium and magnesium ions in the water are replaced with sodium ions. Since sodium does not precipitate out in pipes or react badly with soap, both of the problems of hard water are eliminated. To facilitate the ion replacement, the water flows through bed of small plastic beads or through a chemical matrix called zeolite. The beads or zeolite are covered with sodium ions. As the water flows past the sodium ions, they swap places with the calcium and magnesium ions. Eventually, the beads or zeolite contain nothing but calcium and magnesium and no sodium, and at this point they stop softening the water. It is then time to regenerate the beads or zeolite. The technologically advanced saltless anti-scale media is an innovative solution that prevents all of thee negative effects of calcium and magnesium, while allowing the positive health benefits to remain. 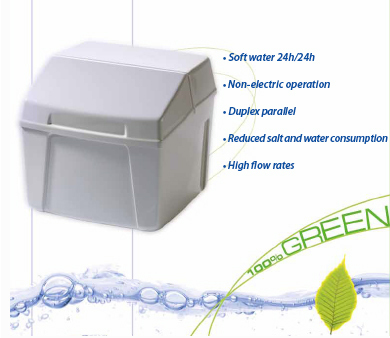 The system is maintenance free, salt free and does not require costly regeneration and backwashing. The principal behind our saltless anti-scale media is quite simple. The saltless anti-scaler media acts as a dosing catalyst by accelerating the transformation of the calcium and magnesium minerals into harmless “Nano” particles. When the inlet water goes into the water conditioner tank, the upflow pulls the water through the fluidized anti-scale media which then acts as a dosing catalyst and pulls the hardness minerals of calcium and magnesium out of the solution and then transforms these minerals into inactive Nano crystal particles. Because the hardness minerals have been transformed into Nano particles, these Nanoscopic particles make their way through plumbing systems without attaching on to pipes, fixtures, valves, or heating elements. 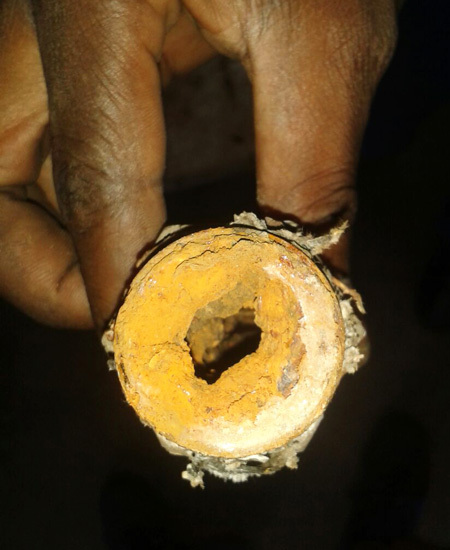 An important secondary benefit is that the existing scale in pipes and equipment is also dissolved over time. The manganese and calcium already built up on the walls of pipes and equipment will slowly dissolve and in just a few short weeks mineral build up will be eliminated. Our environmental safe saltless anti-scale media was initially developed to serve as an alternative to commercial softeners used for scale control. 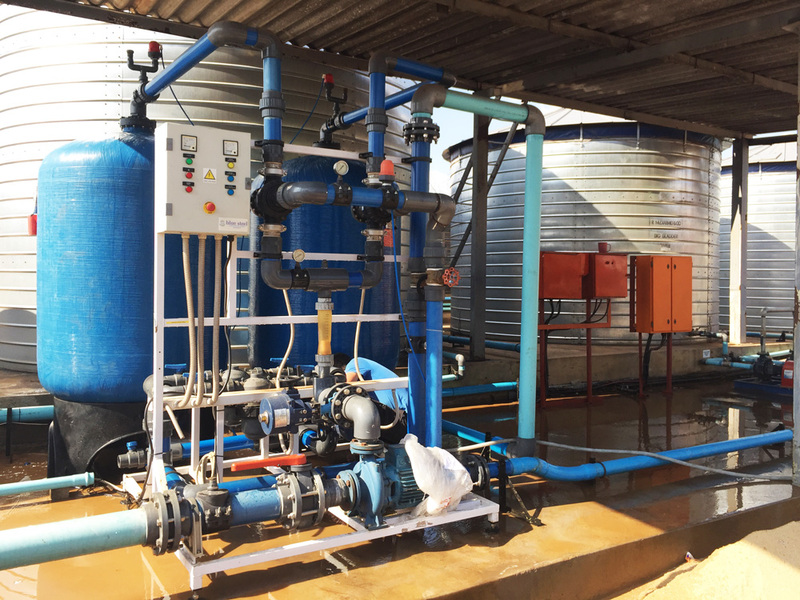 Because commercial softeners discharge sodium into waste water supplies during the regeneration process, many of our European companies were faced with expensive discharge government permits and needed a cost effective alternative. 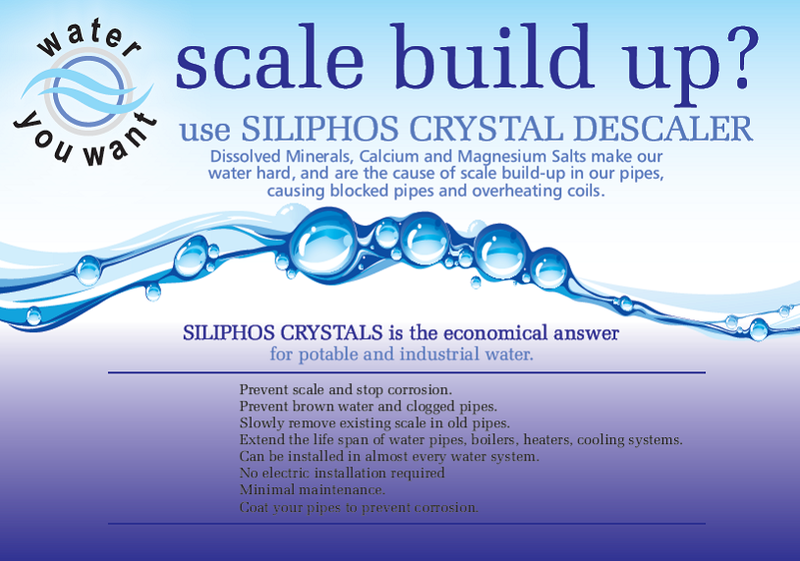 Another reason for the development of the saltless anti-scale media was to address the heightened concern by European health and research agencies that through the usage of residential softeners in second and third world countries, calcium and magnesium were being removed from home water supplies and causing serious health problems due to the lack of these vital minerals and the excess of sodium in the drinking water. 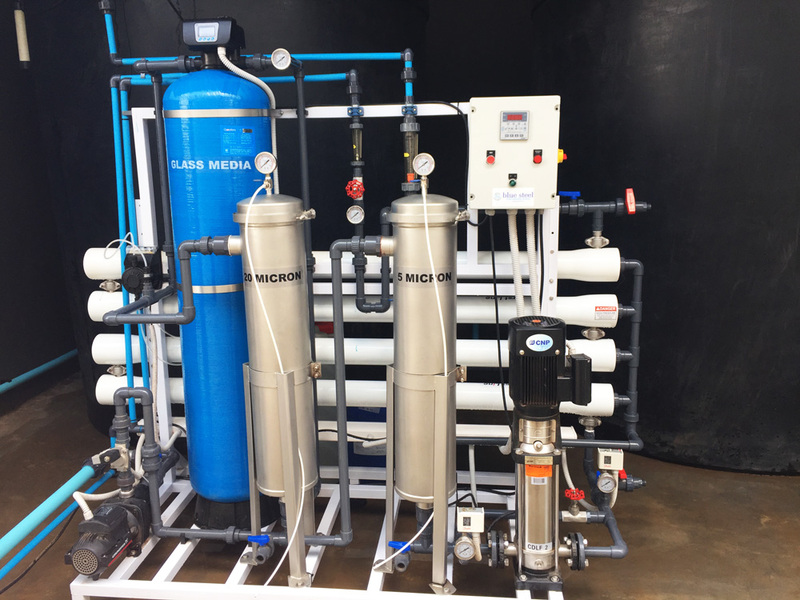 The saltless anti-scale media developed to addresses both of these concerns and is a major break through in the anti-scaling water treatment market for both commercial and residential applications and has proven too be a successful alternative to commercial and residential softeners. The most common solution to hard water is the use of a water softener. The calcium and magnesium ions in the water are replaced with sodium ions. Since sodium does not precipitate out in pipes or react badly with soap, both of the problems of hard water are eliminated. To facilitate the ion replacement, the water flows through bed of small plastic beads or through a chemical matrix called zeolite. The beads or zeolite are covered with sodium ions. As the water flows past the sodium ions, they swap places with the calcium and magnesium ions. Eventually, the beads or zeolite contain nothing but calcium and magnesium and no sodium, and at this point they stop softening the water. It is then time to regenerate the beads or zeolite. When hardness minerals are combined with heat it forms troublesome scale. Scale causes costly build-up in your plumbing, water heater and other water using appliances. When combined with soap, the minerals form soap curd or scum that makes skin dry and itchy, hair lifeless, laundry dull and builds up on fixtures. Most water contains a variety of dissolved minerals and salts. Depending on your geographic location and water source (ground well, lake, river, etc.) the amount of this dissolved content can be very high. The more minerals water contains, the “harder” it is. 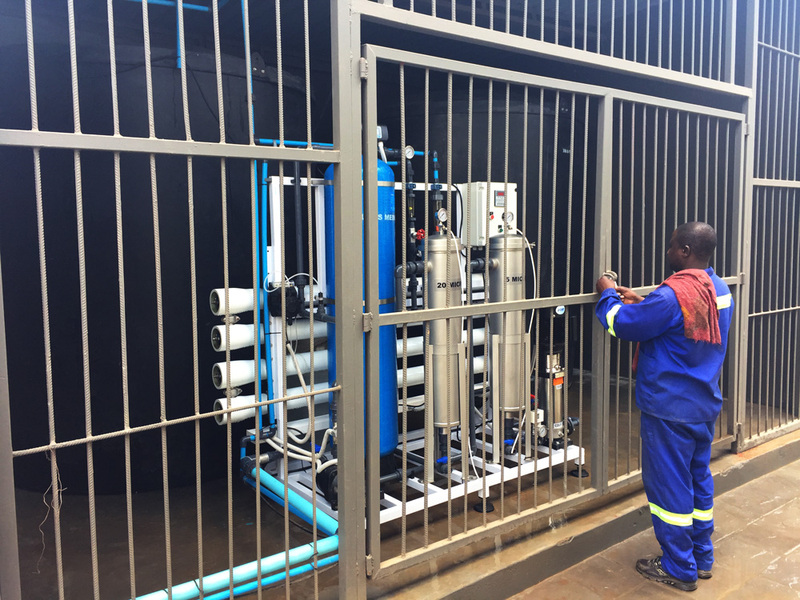 When hard water is boiled into pressurised steam or used to cool the waste, it leaves behind salt and mineral deposits within the steam generator, pipes, and valves. These deposits build up over time like layers of paint. As they build up, they decrease the efficiency and functionality of the steam generator in addition to clogging up pipes and valves. In boilers, heat is applied to make steam. When hard water is used in boilers, hard crystalline deposits of calcium carbonate, calcium sulphate, magnesium carbonate are formed. This insoluble solid is mainly caused by thermal decomposition of bicarbonate ions from temporary hardness. The resultant lime scale reduces the heating efficiency. Hence it needs more heat to create steam, causing inefficiency. It also leads to regular and expensive repair costs. It will also clog pipe systems and reduce water flow. In cooling towers, water is used as heat transfer medium. If hard water is used in this case, it causes scale and corrosion in cooling towers. This scale reduces water flow and heat transfer. Again, leading to inefficiency and expensive repair work.